Nadine Love’s Blog sharing real insights and wisdom so you can be part of her personal and professional world inspiring you to confidently live your best life. 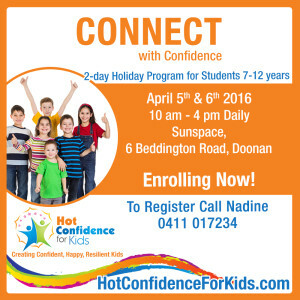 Hot Confidence for Kids launched in early April with the Connect with Confidence Holiday Program. The two day course for students 7-12 years focused on the first two Hot Confidence Adventure Trails inspiring and guiding participants to build self-trust and to “have-a-go”. Confidence -, Communication and Relationship- skills are far from intuitive and the Hot Confidence for Kids After-School and Holiday Programs are especially designed to deliver tools, techniques and strategies in a fun, upbeat way. This ensures that young people have the inner resources and know-how to be confident, happy and resilient for today and for the rest of their lives! “What’s amazing about Hot Confidence for Kids is how fun it it. You don’t realise you’re building your soul. You are building your trust about yourself and it’s unconscious. 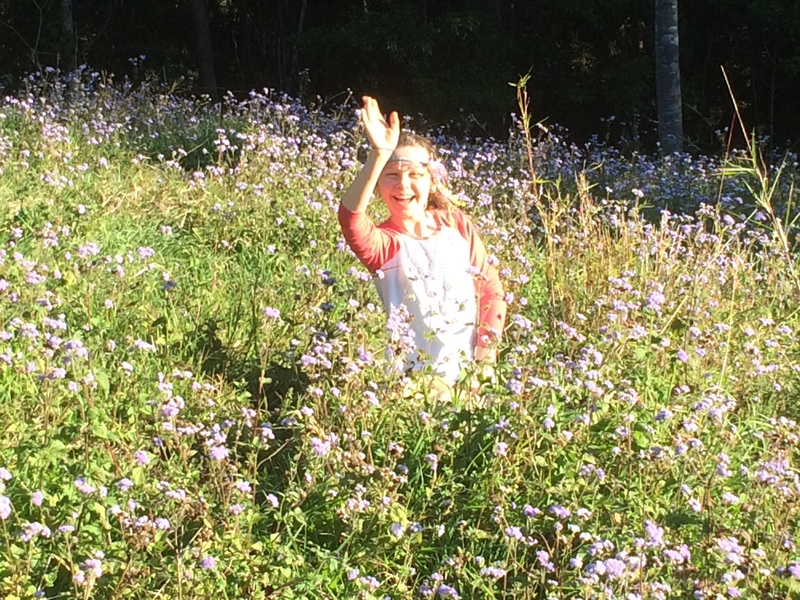 You go away feeling really happy and full of yourself in a good way.” Mira Love, 10, Year 5, Queensland, Australia. Australian research reflects staggering statistics regarding anxiety, bullying, despondency, self-harm, suicide in young people aged 7 – 17 years. Pressures on kids include school, family, social media and social concerns. I’ve rolled my 30 something years of work as a human potential expert, prize-winning author and mentor into a fun, upbeat program, Hot Confidence for Kids. The program will inspire, instruct and guide kids aged 7 – 12 years and their parents. Hot Confidence for Kids will deliver strategies, tools and techniques to build confidence, happiness and resilience. “As a parent it’s heartbreaking to see (these) prevalent stories of depression, anxiety, self-harm and suicidal tendencies amongst our young people, let alone as Health Minister,” The Hon Sussan Ley. Minister for Health. This can result in depression, and a raft of mental health issues including self-harm. Now, more than ever before, it’s time to give our children appropriate tools, techniques and strategies to bounce back when things get tough, define their boundaries, speak up for themselves and build their confidence so that they can thrive at school, home and play. The first relationship that must change in order for our kids to be happy, resilient and able to embrace opportunities – is the relationship they have with themselves. Beyond that, knowing how to communicate effectively with others is fundamental to feelings of belonging, being understood and ultimately feeling the fulfilment of contribution to our communities. Hot Confidence for Kids, an upbeat, expertly crafted Holiday and After-School Program, launches on the Sunshine Coast this Easter Holiday, to provide these urgently required skills to young people aged 7 – 12 years. 1. Your help in getting the word out to young people and their parents would be much appreciated. 2. Also any ideas as to how to spread news of the program would be so very much appreciated. 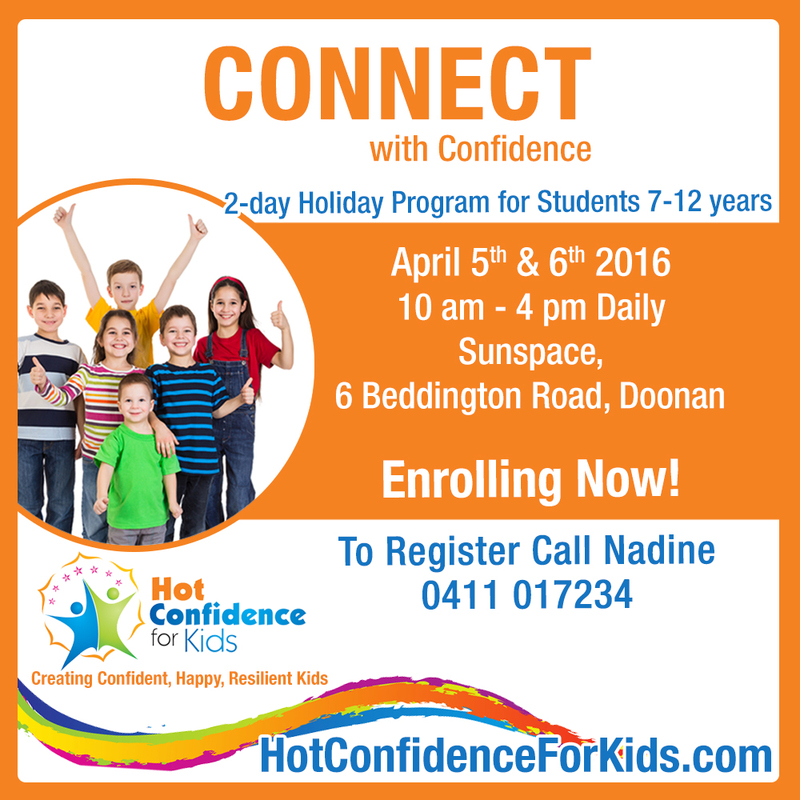 April 5 and 6 2016 sees Connect with Confidence kick off in Doonan, Sunshine Coast with the After-School Program available from the 19 April in Noosaville. 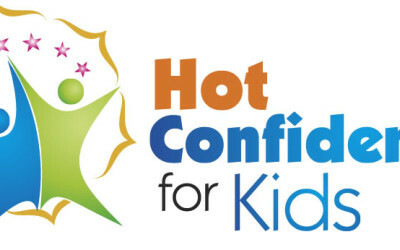 We would like to let parents know that Hot Confidence for Kids is here to guide their kids to build their confidence, communication skills, self-esteem, levels of happiness and bounce-back-ability. Your great ideas as to how to spread news of the program would be very much appreciated. Your help in getting the word out to young people and their parents would be valued deeply. You may know someone who is qualified as a coach, educator, psychologist, teacher or counsellor who would be interested in facilitating the program in his or her school or community. Your support in letting people know that Hot Confidence for Kids exists, might mean avoiding self-harm, increasing joy and perhaps even saving the life of a young Australian. Unfathomable space, timeless enquiry, a universe of questions with cosmic aspirations.Deepening cosmic controversy. There’s so much noise out there. Have you ever wondered if you’re missing the diamonds because there’s such an avalanche of small stones that it can be challenging to find exactly what you’re looking for in the information deluge. In a tele class I ran especially for the authors who contributed to Luminaries on the Loose, I shared an acronym to keep them focused on sharing their wisdom effectively so that they always engage their readers in ways that give real value. V – Voice what you stand for clearly. It’s – to you to give voice to your solutions in a way that is relatable, interesting and even entertaining. A – Align with your Authentic self and Act accordingly. When you’re being true to yourself you can effortlessly raise Awareness with your Accessible frameworks and Artful stories. L – Leverage your Knowledge, Wisdom Experience and Resources. Consciously ascribe worth to your experience, education and views and then get smart about how effectively you pass on your skills to assist others to grow. E – Ecology, Evolution and Elevation are the three E’s that will make the value you give really land with the receiver. Always focus on a win, win, win for all involved. Make sure you’re adding to the evolution and elevation of your recipient so that they truly are better off for knowing you. 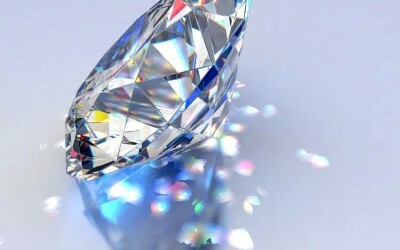 I trust you’ll have fun applying this VALUE filter to your offerings – and when you are out there sifting for sparkling gems, you’ll have specific criteria to cut through the din and attract diamonds that serve you well! Enjoy this short video that captures the celebration, fun and cheer of our book launch event at The Bohemian Bungalow, Eumundi, Sunshine Coast, Queensland! I’d love you to be there! On August 15th 2015 Luminaries on the Loose: Track your Archetype Trail to Your Best Life Launches – Can you be our special guest and celebrate with us? 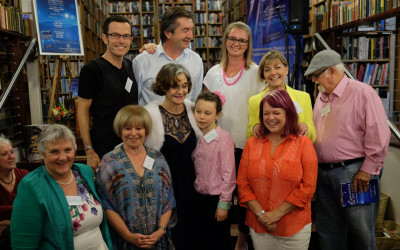 Join the 12 Australian Authors at The Bohemian Bungalow, Eumundi, Queensland as we toast the publishing of our book of transformational steps and stories so that you can track your Archetype Trail to discover more about yourself, enjoy more meaning, fulfilment and purpose everyday – and live into your best life with our support. On 21st May 2013 the seed for Luminaries on the Loose was sewn as I sat in meditation on on my 48th Birthday. The book you’ll hold in your hands is the loving result of an intentional, heart driven evolution from a compilation of chapters by Authors with compelling tears to triumph stories to a practical, positive, purposeful book that is a must have reference in the library of any conscious book-lover who wants to find harmony and bring more peace, betterment and love to our planet. You can dip into Luminaries on the Loose as a guidebook to help you to identify where you are in your life and what’s likely to be coming up on your horizon. Or just turn to any chapter in Luminaries on the Loose for a good fun, entertaining read. In the same way as the Aboriginal people of Australia navigated vast tracts of land following dreaming-tracks or songlines that carried within them markers, landmarks and signposts through aurally shared verse, the 22 steps on the Luminaries Archetype Trail will help you to find your way through the topography of your circumstances, your mind and your understanding so that you can clearly recognise the route to the results you want in your life. I wrote nine of the twenty two chapters for you, as well as detailed orientations to the three main parts of the book so that you’re clear about the phases of the Archetype Trail. I trust you’ll be inspired by the way I bring you the themes, concepts and significance of each of the twenty-two archetypes on the Luminaries Archetype Trail. I also wrote the introduction and concluding chapters so that you can appreciate the how this heart-book can work for your in your life. Each day I wake up in the arms of my darling John. Our first words are of love and appreciation. As we go to bed at night, and answer the question, “Did I do my best today?” in the affirmative, love is the shared wave that carries us into the velvet ocean of sleep. I’m the happiest, most certain and fulfilled I’ve ever been – and I want the same joy-filled, love-lit life for you, too. Luminaries on the Loose will give you the insider track on how achieve life’s ultimate quest for direction, possibilities, prosperity, health, happiness, harmony – and love. Do you have a creative time of day? I wonder whether you’ve noticed that you have a natural rhythm, an authentic internal organising principle which when you’re attentive to it and you make the space in your life to listen flow is inevitable. What a wonderful reminder that our thoughts form our reality. If you know this, then what would prevent you waking every morning and seeing, feeling and hearing the day exactly as you would have it be and so much more. If you want to take this to a whole new level that will up the stakes of inevitably experiencing your best life: experience yourself as if you had already achieved a day that surpassed your imaginings! If you want to write a book, then see yourself having already written your book, at your book launch party rocking to the tune of celebrating your first hundred books in the hands your readers – who are already benefitting from your transformational message. If you want to sign that first paying client on your coaching program, then see yourself already working with a committed client who has made profound personal changes in his/her life as a result of working with you. If you want to be more confident and step into your life with the poise, ease and grace of someone who’s on purpose in life – then know yourself right now as that radiant individual. Welcome the version of you filled with solid self-belief, bold in the expression of your music, your magic, your brilliance. Frame your day with who it is you have to be and what it is you have to do to bring the successes your body being now knows you’re destined for, into your choices today. Everything I’m inviting you to do, I do. Let’s talk timing. When I want to have a productive outcome. I know what happens when I sacrifice my flow times and zones. One of those times is my best exercise zone, first thing in the morning, If I omit my early morning walk, and mow into breakfast first, my day is impacted in ways that sometimes I just have to accept. I’m an 11 am engager. By that I mean the intelligence of my body-mind moves me to action at 11am. That’s when I enter my best writing zone. My energy and focus seem to naturally converge. If I take heed of my inner impulse, my best work is done in the hours that follow 11am. I feel a nudge to centre myself and let my fingers find my keyboard whether it’s weekday or weekend, I’m on holiday or at home home, this side of the world or the other. 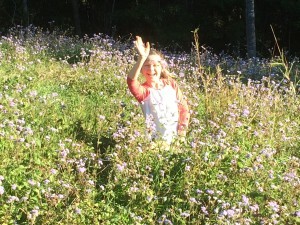 Having attended Doreen Virtue’s glittering morning segment of the Hay House I Can Do It Event, Sydney, Australia I was propelled to return to the quiet of my room to write. I figured Doreen, author of over seventy books and twenty four card decks, would understand how important the flow zone is. I’d had no conscious awareness of the time, yet as I opened my MacAir, all set to write this for you, the the time was 11.01. I chuckled out loud. Bang on and in flow in my zone. When is your time to engage? Once you’ve identified your connect, engage and create time, and you have fully experienced yourself as having already achieved your most successful outcomes thereby understanding who you need to be and what you need to accomplish to get there. The only place to flow is the other side of “go”! “So, Sally, what is it exactly that you do?” Enquired clean-cut Dan of the black-suited, willowy woman next to him. She felt compelled to look down, and studied his shiny pointed shoes for inspiration as she struggled to line up what to say. It would have been hard to miss Sally’s reluctance to answer. She swallowed hard and silently prayed Dan’s blue eyes would not glaze over as she started to talk. Sally! This article is for you. And For YOU so that you’re clear about why you must have your message prepared and what to consider when you put your transformational conversation together. 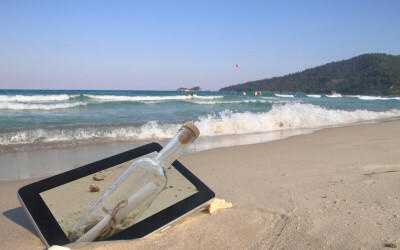 What will having a clear message give to you (and Sally!)? Certainty: The world is uncertain by it’s very nature. When you can say who you are, how you deliver what you do and how what you do creates a positive difference you’re easily able to attract clients who are a match for your services. Those who are not a match, will filter themselves out saving you time, resources and effort. Confidence: As you put your message into words and you share, declare and live your life on message, your capacity to trust who you are increases. As you build competence in speaking and acting on your message your confidence grows. Command: It’s easy to see the people that stand out because they have a natural self-mastery, poise and effortless command. These are the attractive leading lights who exude a magnetism that ensures their success. When you know what you are about – you can have this dynamic command,too. Knowing your message improves your relationship with who you are and therefore every other relationship and opportunity that comes your way. Direction: Knowing your message determines your direction, and assists you to know when you’re off track. Once you have honed your transformational message and it has “popped” or “landed,” your outcomes self-define. This means that your next steps are obvious. You can always be guided by your core song. Momentum: Positive change requires momentum. Your transformational message provides the catalyst as well as the continuing movement to keep growth, learning and giving alive and thriving. Choice: Decision making becomes easy! Every choice you make in your personal and professional life can be guided by your message. Any decision you’re called to make has to stack up against your message and align with it. If you know and live your message and you take a decision that steers you off track, you’ll feel incongruent and experience constriction rather than expansion. Effects can be felt in your health, finances and relationships when your message is ignored or overridden. Definition: What a relief it is to know what you’re about and to be able to wrap words around it! Whilst it is true that labelling and putting oneself in a box is limiting – when you find what you are about at the very heart of you, when you identify what makes you tick and motivates you, when you experience consistent vitality and a sense of purpose and being on your calling, then that is the evolution of true freedom. True freedom comes from recognising your essence and living from that magnificent space. Purpose: Your message assists you to identify and talk about your purpose and, as importantly, it helps other people to understand what you’re about. This factor is crucial in discovering relationships that will sustain, nurture and support; attracting and signing clients and bringing in outstanding opportunities. What makes a transformational message? Here’s to your clear transformational message and creating your difference in the world! When you know what exactly it takes build your confidence, you’re good to go – right? 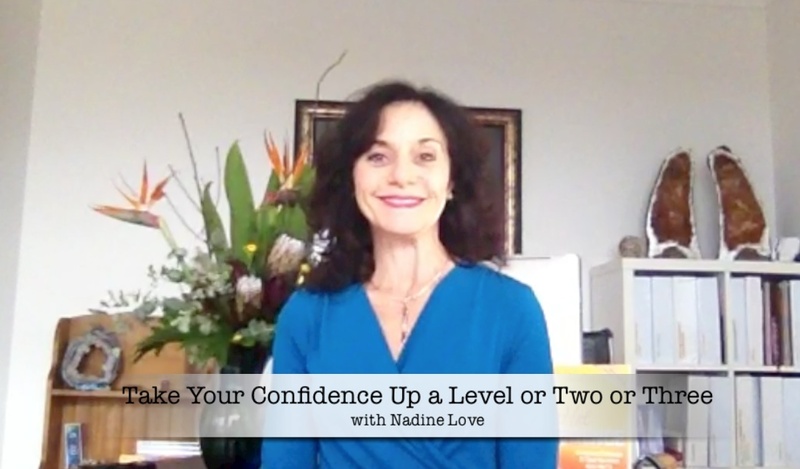 In this video I explain the confidence-competence loop and what you need to make conscious in order to become unconsciously competent and, therefore confident. Intrigued? Jump in the Saddle! 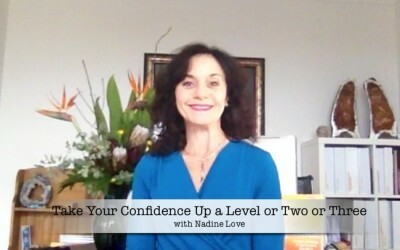 In this short video you’ll discover the connection between your competence in an area and the confidence you have in yourself and your abilities. You’ll find our how unconscious incompetence is the very first stage, when you don’t even know that there are steps to master to achieve something. When you know that there are things you need to learn, you enter the stage of conscious incompetence. For example, you find yourself sitting in front of a computer screen, trying to figure out how to make sense of your new Facebook page. You know there are things you need to find out to post and interest your friends, yet you’re not quite up to speed on what to do first to set yourself up for success. Once you’ve figured out the basics you are know there are things that you need to make your own so that your page engages and creates conversation. This is the stage of conscious incompetence. You know what you need to do and you’re practicing to get your social media moves smooth. The day finally arrives when you wake to a thousand likes, you could post, comment, share and create an event in your sleep and Facebook feels like a member of your family. This is the stage when you feel supremely confident – you’re reached unconscious competence. And so the loop begins again every time you choose to learn a new skill. 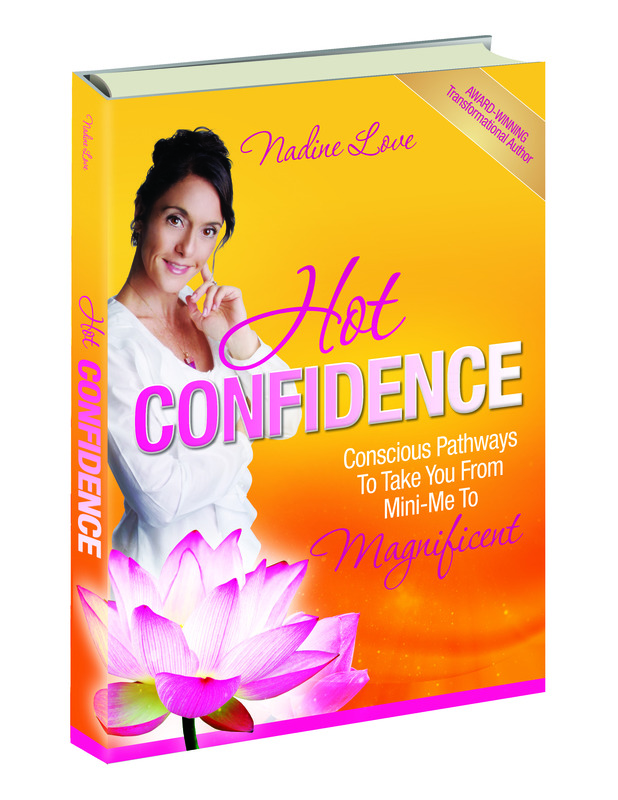 The confidence-competence loop keeps your brain agile, your humility levels high and your life a fascinating adventure! I trust you found this post useful! 3 Keys To Self Trust so You Can Back Yourself Now! 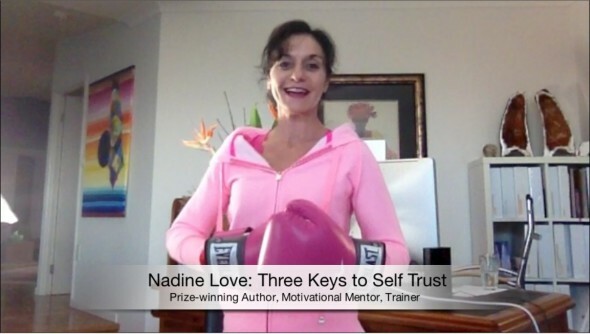 Discover the three keys to self trust so you can back yourself to live your best life. Click the image to watch this video I made for you. Give your self-belief a boost! If you’re looking to pep up your performance professionally and personally, you can apply the tips and techniques that best align with who you are and speak to your magnetic magnificence. If you’re noticing that low self-esteem, self-doubts and fears are holding you back and keeping you from the happiness, financial achievement and relationships you know you’re worthy of then you’ll find value in these 7 Strategies to Boost Your Self Belief. Your successes can’t hope to seed and grow, when you choose to focus on your limitations. It is just as Mignon McLaughlin wrote: “Learning too soon our limitations, we never learn out powers”. “What’s been your greatest challenge on your Coaching journey so far?” I asked the responsive group who were attending my Advanced Coach Training Seminar. The answer brought no surprises. Top of the list was self-doubt. 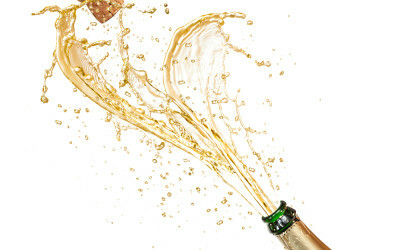 You’re in good company – and the club is bigger than you might think! Low self-esteem, a lack of self-esteem and having too little confidence to step up and do what it takes to succeed affects every person on the planet at some time in life. I wonder how your life and your results are being impacted by the degree of self worth you have right now. Our realities are created by beliefs that are the thought forms through which we interpret, filter, and interact. Our beliefs create a separation or union between the self and the universe, and so we relate to something as “this” or “that”, as similar and belonging to, or different from and distanced. The cause and effect relationship between the self and the physical universe is created by your beliefs and therefore what you choose to believe sets a blueprint for what happens in your life. It’s therefore vital that your beliefs, particularly those you hold about yourself, nurture, support and sustain who you need to be to have the life you most desire. The creation of new realities and restructuring of consciousness depends on mastery and management of beliefs. Rene Des Cartes had some great opinions on the subject! He was author of “I think therefore I am” and went on to proclaim “If we want to change our lives we have to stretch our minds”. But how? Self-doubt is the ultimate procrastination fast-food. The opposition to growth and progress firmly rooted in the mind. Express your beliefs so that you can explore them, weigh them up. Take the conscious choice to adopt beliefs that serve the development of resourceful states of being, that provide fertile ground for creating your desired reality. 1. Attend to basics. Your relationship with life depends on taking care of exercise, touch, and enough sleep. Commune with, and appreciate nature daily, even if you only go there in your mind. Great if you can feel the sun on your face or the rain on your face. Stroke a feather that you have lying around, or hold a rock. Communicate with nature, daily. It’s anchoring; it reminds us that we belong to a much wider system. That kind of widened back perspective also helps enormously to take care of our self belief. If we can develop the capacity to have free attention, to widen back, to see a higher purpose, a higher learning in each situation. Then life isn’t so personal. You are not your creations. You have choice in each and every moment. Develop a great capacity to be in the now. Appreciate, appreciate, and appreciate. Look to who you aspire to be, and be that person, absolutely right now. You have everything within you. 2. Allow yourself to create. Simply allow yourself simply to create, in whatever form: sing in the shower, draw a doodle, write a line, create poetry, to listen to music and dance, create a collage, and create a meal. Develop your capacity to give and to receive. Often times, for many, it’s so easy to give, but it’s the gracious receiving. If you can open that portal, that will help your self esteem to truly grow. 3. Surround yourself with positive people. Seek out that which makes you smile, and have more of that. Do something you love every day, and practice taking action with courage. Find a coach, mentor and people that you’re inspired to model. Adopt the strategies that you notice work for them. 4. Remain true to your heart, congruent with your truth, and let your focus and actions reflect loving interaction on all levels. Check yourself out. Put on your oxygen mask first. Develop heart space awareness, and own your own issues. Take responsibility. There isn’t a shortcut, you’ve just got to deal and heal. Develop awareness, to develop that heart space. Go into the shadowy places in your heart and deal and heal. 5. Regard words as precious gems. There’s a Native American Indian belief that each word that we speak is as a precious stone. Now if we considered that, then how much we not say might, and how much might we say. Speak kindly and truthfully from the heart. Opt always for an affirmation rather than what I call a “mashermation” (Where Mashermation is the diminishing, destructive language or self talk that crushes and undermines rather than uplifts and creates). What we say creates our reality. Words are energy, and we are manifesting in everything that we language, that we speak, and even that we think. So be certain that what you’re thinking and speaking is that which you truly intend to manifest. 6. Develop your capacity for Free Attention. Widen back. Find a point of focus ahead of you and welcome in your peripheral vision – allow full awareness to be yours. Notice the widest span of the issue – get into the zone of expanded awareness and greater consciousness. 7. Practice, an attitude of gratitude and kindness. Focus on enriching the life of another rather than your own. I think, for me, the times I’ve been most down, that are kind of got me out of a hole. It’s like “How can I make this space better off for being it”, “How can I enrich the life of another”. If I can do that by creating, if I can do that by helping someone to transform within themselves, then so much the better. Bonus Core Creation of Success Strategy: This seventh strategy links closely to having a “Big Enough Reason Why” – Your Purpose. When all else fails – what works for me is to plug in to my life purpose: To help those who help others; to be an example that my daughter Mira Moonbeam would choose to follow and be proud of; to leave every space better off for my having touched it; to contribute. For Your Interest, here is Morris Rosenberg’s self-esteem scale, which was used in social science research. 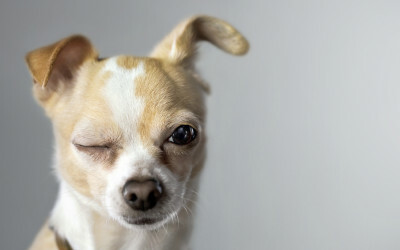 You might calibrate how much you might require the 7 Strategies to Boost Your Self Belief, right now: Suggestion: You could rate yourself on a four-point scale from strongly agree to strongly disagree. 1. On the whole I am satisfied with myself. 2. At times I think that I am no good at all. 3. I feel that I have a number of good qualities. 6. I certainly feel useless at times. 7. I feel that I am a person of worth, at least the equal of others. 9. All in all, I am inclined to feel that I am a failure. 10. I take a positive attitude toward myself. • Rosenberg, M. (1965). Society and the adolescent self-image. Princeton, NJ: Princeton University Press. Start somewhere with something that is aligned with your endgame. Seek your “Big Enough reason Why” and write that down and pin it up where you can see it.